missed. And with good cause, as “Memory Palace” alone is several awesome movements. 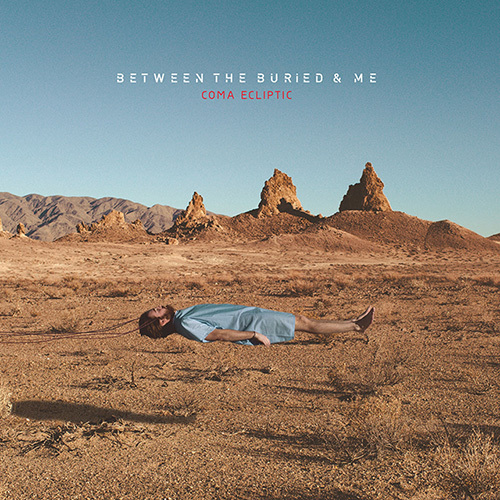 Progressive metal band Between the Buried and Me have premiered an exclusive clip from the “Making of Coma Ecliptic” DVD on Billboard today! 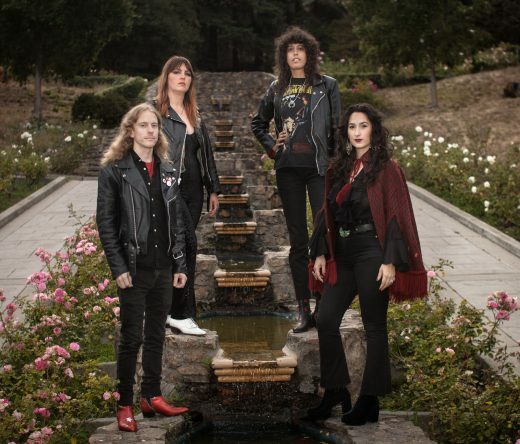 In the clip, lead singer Tommy Rogers discusses the concept of the band’s upcoming, highly anticipated, album Coma Ecliptic. Fans can watch the video now HERE! 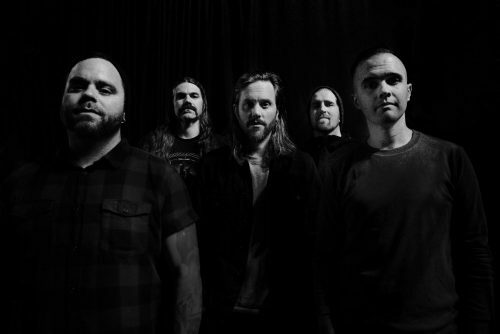 Progressive metal band Between the Buried and Me have released a brand new song from their upcoming highly anticipated, seventh full-length album Coma Ecliptic. Fans can listen to “Memory Palace” now by heading to metalblade.com/btbam. The upcoming album is also now available for pre-order with special bundles and packages offered, including: CD, LP, two pre-order exclusive t-shirts, an exclusive hour long behind the scenes making-of DVD, and a “Coma Ecliptic” limited edition 27″x40″ movie poster. 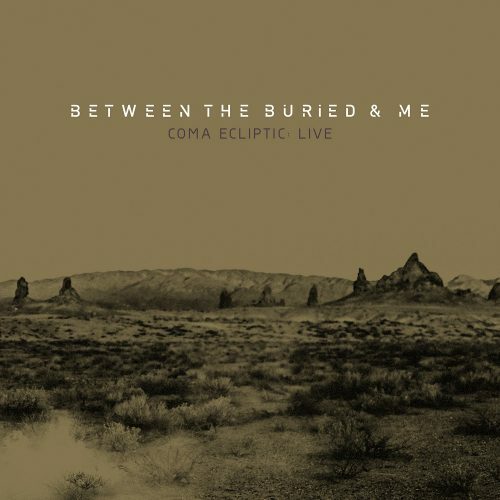 Coma Ecliptic will be officially released worldwide on July 7th, 2015. 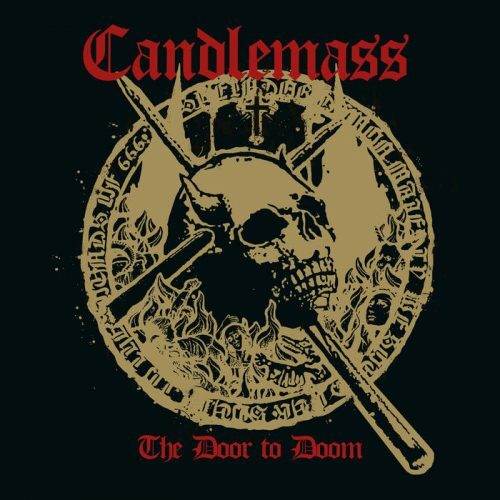 Grandiose, dynamic, heavy, melodic, technically challenging and more, this album delivers. 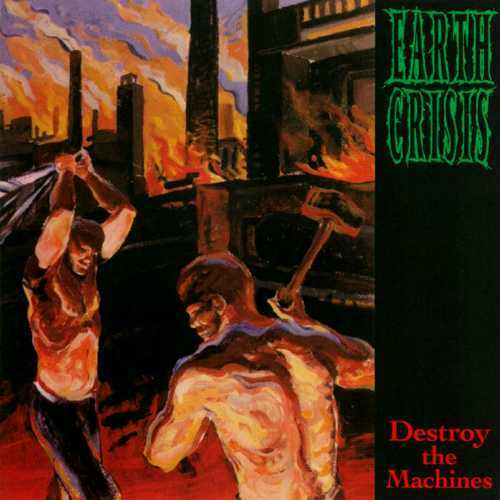 In anticipation of Earth Crisis‘ next record THE DISCIPLINE out this year via the good folks at Bullet Tooth , a few of their friends and biggest fans got together to speak about what the band and music means to them. 20 years after their debut album Destroy The Machines was released, Davey Havok (AFI), Andy Hurley (Fall Out Boy), Igor Cavalera (Sepultura), Toby Morse (H2O), Dan Smith (LA Ink), Paul Waggoner (Between The Buried And Me), Peter Young (ALF), and Joel Capolongo (Sea Shepard) discuss those songs, the messages, and the impact Earth Crisis has had on their lives and the straight edge and animal rights movements worldwide. Watch it BELOW. This is a great reminder of how music can still have important social impact. 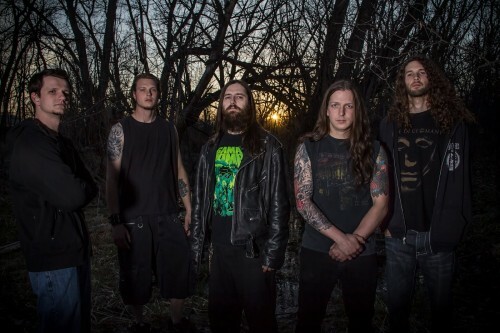 Florida death metal mayhem-makers Abiotic have unleashed a new song onto the world. 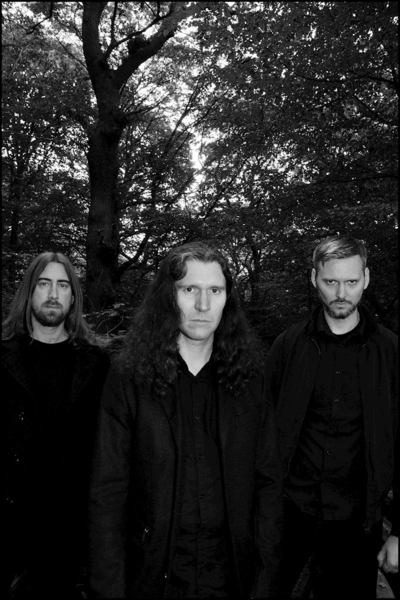 The song “Cast into the Depths” comes from the bands forthcoming album Casuistry which will be released on April 21 via Metal Blade Records. 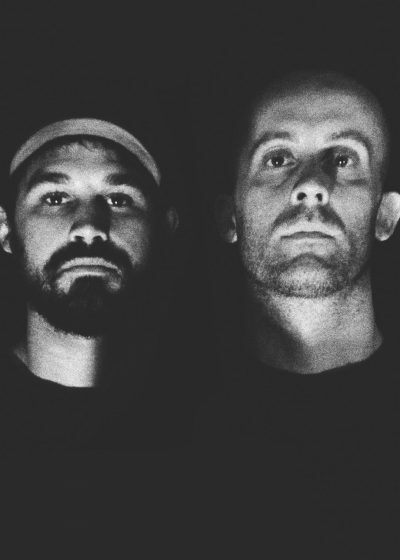 In addition to that the band has released a play through of their song “The Absence of Purity” which features a guest solo from Paul Waggoner of Between The Buried and Me. In April and May Abiotic will be tearing up North America with Boris The Blade and Alterbeast. 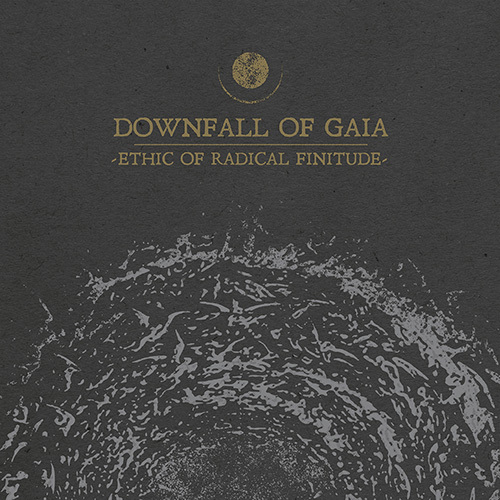 Check out “Cast into the Depths”, the “The Absence of Purity” play through as well as Abiotic tour dates here. 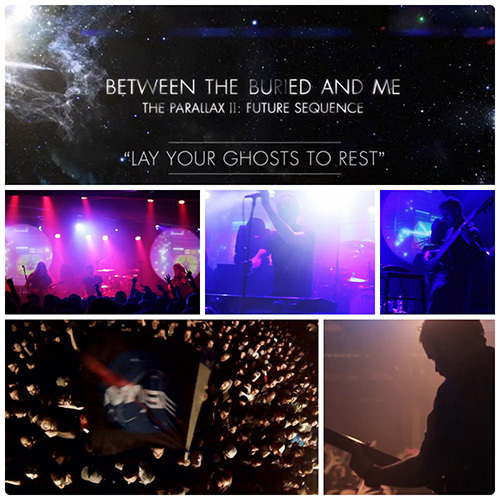 Between the Buried and Me Future Sequence: Live at the Fidelitorium debuts on the Billboard Top Music Video Chart! 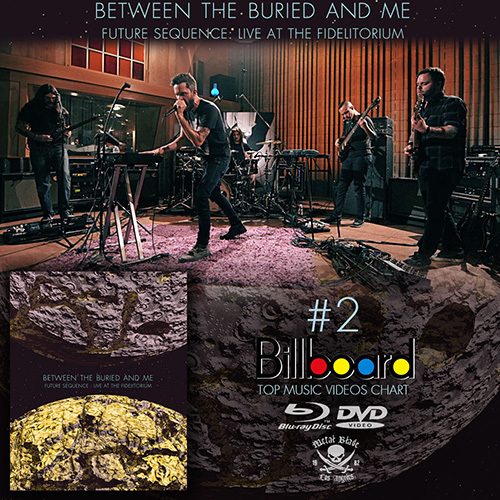 Between the Buried and Me‘s first ever blu-ray release, Future Sequence: Live at the Fidelitorium has debuted at #2 on the Billboard Top Music Video chart! The first week success vaulted BTBAM ahead of the likes of Dream Theater and YES on the video chart, further firming the band’s position as one of the world’s top progressive acts. A sample of the video, “Extremophile Elite“, in its 10:03 entirety is available to the public. “Future Sequence: Live at Fidelitorium” was recorded at Fidelitorium Recordings outside of Winston-Salem, North Carolina. The video was directed and edited by Justin Reich, with director of photography Ismail Abdelkhalek, and audio engineers Jamie King and Kris Hilbert. Audio mixing and mastering was completed by Jamie King. Guest musicians include: Walter Fancourt (tenor saxophone, flute), Julian Hinshaw (Tuba), Will Goodyear (marimba, glockenspiel), Taya Ricker (violin), David Parks (violin), Leigh Dixon (viola), and Socrates Razo (cello). Artwork and layout were completed by Owen Chandler, along with band photos by Chuck Johnson. 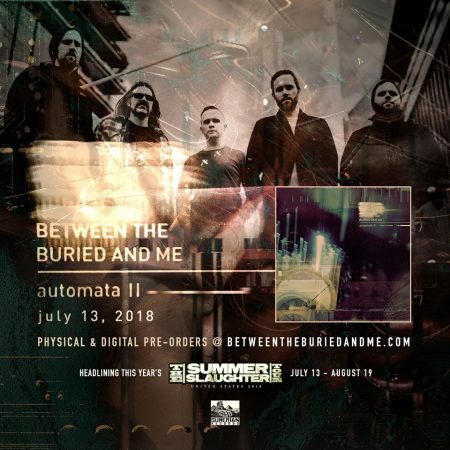 Between the Buried and Me is set to launch their first ever blu-ray release next week via Metal Blade Records worldwide. The video (also available on DVD) features interviews with each band member and a live recording of “The Parallax II: Future Sequence” performed in its entirety. Additionally, both the DVD and blu-ray versions include an audio CD of the performance. 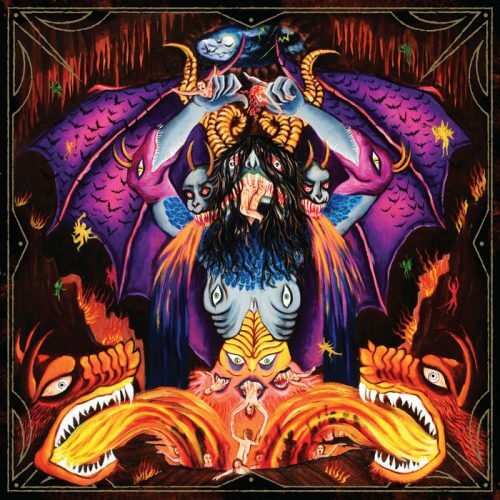 To whet the appetite of fans who may be wondering just how the in studio performance with guest musicians looks, “Extremophile Elite” has been released in its entirety HERE. Future Sequence: Live at Fidelitorium was recorded at Fidelitorium Recordings outside of Winston-Salem, North Carolina. The video was directed and edited by Justin Reich, with director of photography Ismail Abdelkhalek, and audio engineers Jamie King and Kris Hilbert. Audio mixing and mastering was completed by Jamie King. Guest musicians include: Walter Fancourt (tenor saxophone, flute), Julian Hinshaw (Tuba), Will Goodyear (marimba, glockenspiel), Taya Ricker (violin), David Parks (violin), Leigh Dixon (viola), and Socrates Razo (cello). 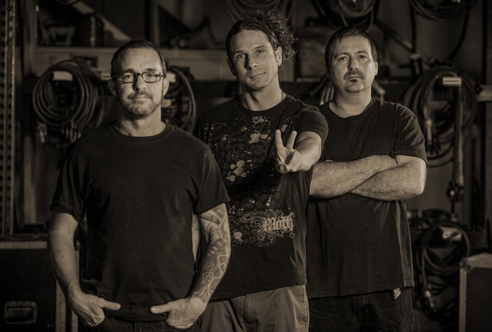 Artwork and layout were completed by Owen Chandler, along with band photos by Chuck Johnson. 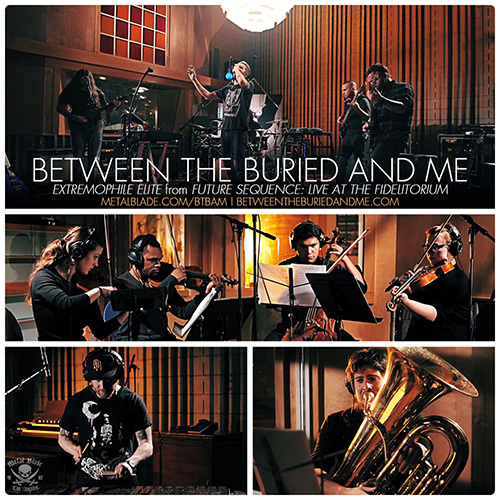 Between the Buried and Me (BTBAM) have launched a brand new video, which was filmed at the Baltimore Soundstage, The Orange Peel in Asheville, NC, and The Cannery Ballroom in Nashville, TN. 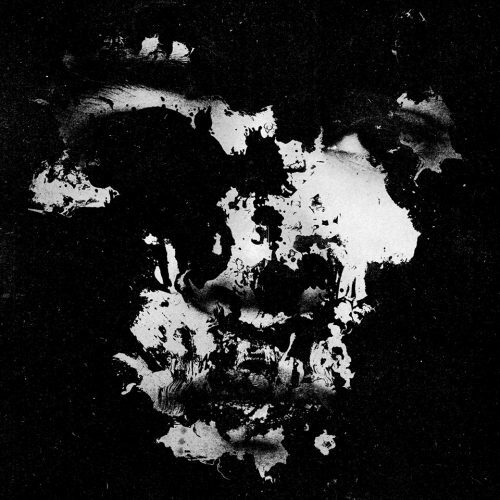 “Lay Your Ghosts to Rest” was produced, filmed, and directed by Raymond McCrea Jones and Wes Richardson. The video is a surreal look at the band’s live show, and the detailed light show and production that accompanies the aural experience that fans have come to know and love. 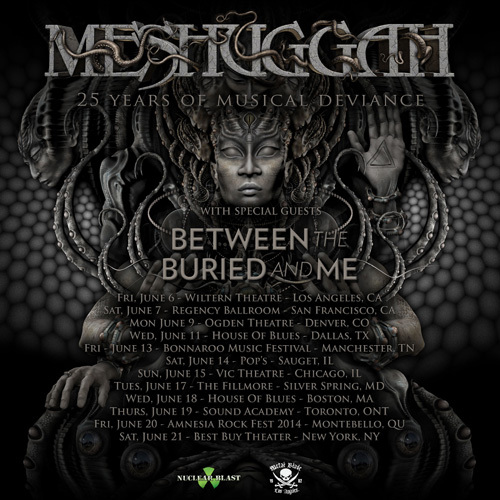 Between the Buried and Me previously announced that they will be joining Meshuggah for their 25th anniversary tour across North America. Now, in addition to those shows, BTBAM will be performing a select few headlining shows on their way out to kick off the Meshuggah tour in Los Angeles, CA. 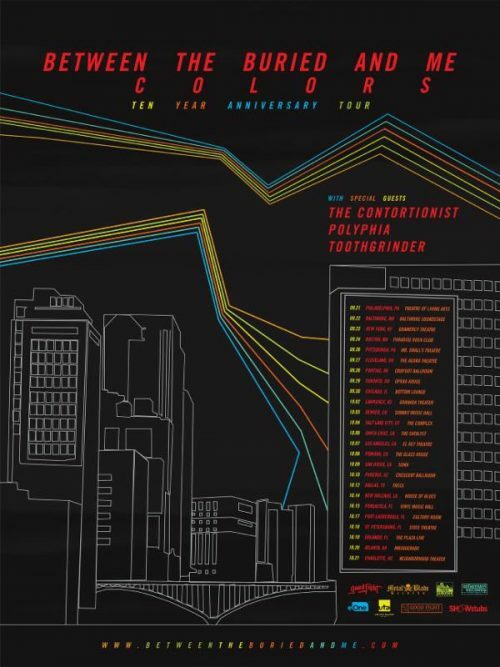 Beginning on May 29th, fans will see BTBAM make their way to the west coast with Trioscapes serving as direct support! 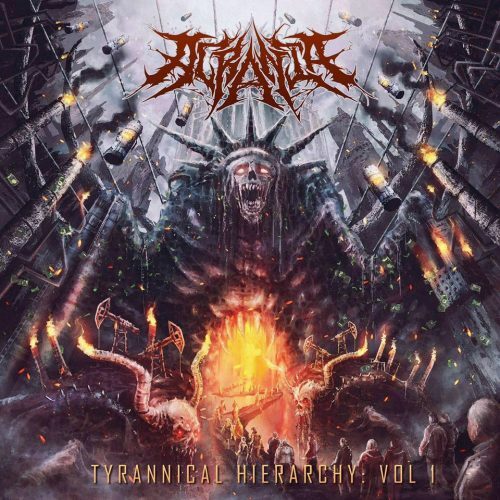 Trioscapes features BTBAM bassist Dan Briggs and released their debut album on Metal Blade Records last year. The band also features Walter Fancourt (saxophone) and Matt Lynch (drums). Click HERE for more on these topics. Witness history with thine own eyes. The ninth wonder of the unnatural world, Sweden’s technically intoxicating extreme metal quintet MESHUGGAH, are returning to North America this summer to celebrate their 25th year of musical deviance with festival appearances, Canadian dates, and clubs that will fill to capacity. 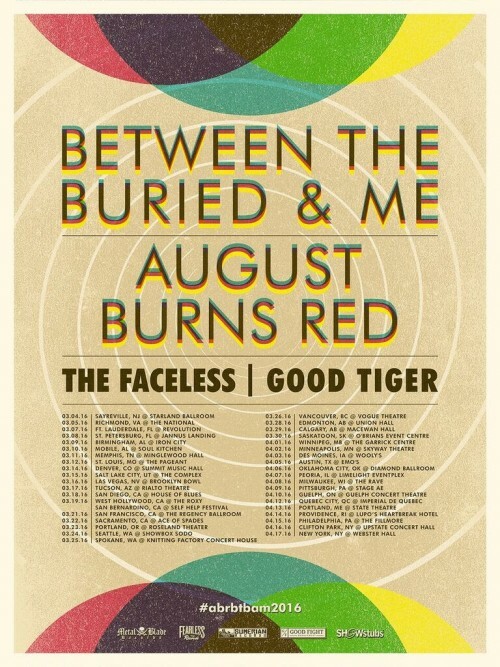 Opening for them (on all but the two festival dates) will be North Carolina’s Between The Buried And Me. MESHUGGAH aim to play a very special 25th Anniversary set by performing selections from their entire discography & possibly include some rare songs that haven’t been played live in many years. Fans have the opportunity to vote for the songs they want to hear via MESHUGGAH‘s online song poll: www.facebook.com/meshuggah/app_151503908244383 – Voting ends April 2nd! Plan to take time off your busy gaming schedule. Reacquaint yourself with what the outside world looks like. Drive to one of the following places. Get teleported into another universe. Enjoy the sounds, the sights, and the weightlessness of your newfound euphoria. You’re welcome. Click HERE for tour dates and keep your Obzen unrattled. 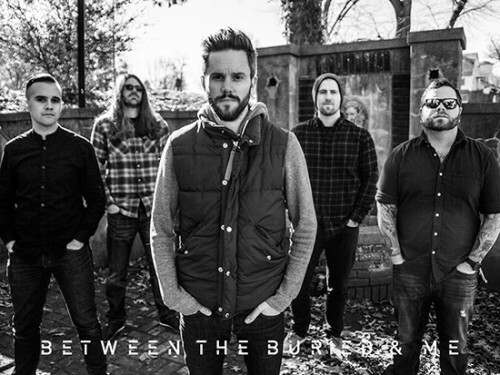 Between the Buried and Me have announced new North American tour dates. They will be hitting the road with Intronaut, Deafhaven, and The Kindred. For more information on this tour click here.